The BrewDemon 2-gallon conical fermenting system includes the world's first 2-gallon conical fermenter (patent pending), allowing you to brew like the pros, but on a much smaller scale. 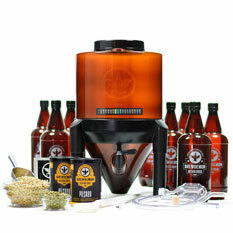 In addition to making great tasting beer, the conical fermenter makes bottling and clean-up a whole lot easier. 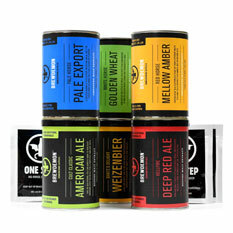 BrewDemon refills feature complex blends of specialty malts, combined with the finest hops by master brewers to provide the optimum flavor profiles for world-class beers. Call your friends because it's time to celebrate! Now, what to brew-up next?